Hsp90 has emerged as an important molecule in anti-tumour therapy, and several drug classes have been found to target its ATP-binding domain culminating in inactivation of the chaperone (for more details see section Inhibitors). Hsp90 appears to be an essential factor in the tumourigenesis of several cancers because it chaperones a wide spectrum of oncoproteins. It is well accepted that Hsp90 maintains pools of these oncoproteins that might be recruited for the evolution of novel traits 388. As summarized by Kim and colleagues, Hsp90 inhibition has been widely second-guessed to lead to deprivation of the oncoprotein pool and to be sensitive to alterations of the microenvironment and to anti-tumour approaches 389. A growing body of evidence now indicates that, after successive dosing of Hsp90 inhibitors to animals bearing human tumours, tumour growth is blocked efficiently. Unfortunately, tumours often start to re-growth after withdrawal of the inhibitor 390. A similar observation is made in patients with solid tumours treated with several structurally unrelated Hsp90 inhibitors rendering Hsp90 inhibitors an improper agent in monotherapy. However, it is worth mentioning that in certain tumour entities single-agent inhibitor therapy was found as being sufficient in suppressing tumour growth 391. Nowadays much interest has been attracted to the use of Hsp90 inhibitors in combination with cutting-edge targeted therapies. It has been shown previously that a combination of the Hsp90 inhibitor SNX-5422 and trastuzumab (herceptin), a monoclonal antibody that blocks the Her-2 receptor, led to a synergistic regression of tumour growth in a xenograft model of human breast cancer 390. On the understanding that the synergistic effects in tumour regression observed in animal studies after combinatorial administration of Hsp90 inhibitors and potent anti-cancer drugs hold true in human trials, targeted therapies are about to come. A first hint is given by a phase II trial, in which the combinatorial administration of 17-AAG (tanespimycin) plus trastuzumab has significant anti-cancer activity in patients with Her-2-positive, metastatic breast cancer previously progressing on trastuzumab 392. Hsp90 inhibition might also be effective to circumvent or decrease drug resistance in tumours observed during target-based therapies. Since Hsp90 is critically involved in stabilizing the conformation of a great variety of mutated oncoproteins, Hsp90 inhibition has the capacity to prevent oncogene switching required for the development of drug resistance 336, 393. Of note, an inhibitor of the HSR, termed emunin, has been found to strongly sensitize human myeloma cells to the Hsp90 inhibitor 17-AAG 394. A combinatorial administration of Hsp90 inhibitors and HSF-1 inhibitors might be a rationale to overcome the negative effects of Hsp90 inhibitors because Hsp90 inhibition has been shown to up-regulate and activate HSF-1, a crucial process in tumourigenesis 395,396. 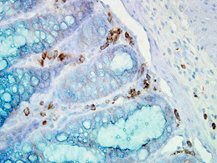 A growing wealth of evidence indicates the pivotal role of inducible Hsp70-1 in tumourigenesis. Constitutively elevated levels of Hsp70-1 can be found in a wide spectrum of cancer cells where Hsp70-1 enhances cell growth, suppresses senescence, and confers resistance to stress-induced apoptosis including protection against cytostatic drugs and radiation therapy 397. Hsp70-1 over-expression correlates with elevated tumour cell proliferation, clinical stage or increased grade and poor prognosis 398,399,400,401. From these data one can hypothesize that targeting Hsp70 in conjunction with Hsp90 inhibition might also be of therapeutic value in cancer. Due to their specific functions, tumour-derived HSPs can be used as promising anti-tumour vaccines under appropriate conditions 402. It has been shown previously that HSP preparations elicit immunity only against the tumours from which the derived 40. Members of the HSP90 family function as anti-tumour vaccines due to their capacity to chaperone tumour-derived antigenic polypeptides (for a review see Calderwood et al. 403). The biochemical properties of both, HSP90 and HSP70 family members allow the isolation of HSP-peptide complexes (HSP.PCs) and the induction of antigen-specific anti-tumour immunity after vaccination 404. However, HSP.PCs elicit immunity only against the tumours from which they derived 40. Meanwhile it became apparent that HSP.PCs are the immunogenic entities eliciting anti-tumour immune responses because peptide-free HSPs or unbound HSP-free peptides have been found as being non-immunogenic 405. HSP-based vaccines have been prepared from Hsp70, Grp94, Hsp90, Hsp110, and Grp170 and found as being effective in limiting tumour growth. The initial and most studied autologous tumour vaccine was the autologous tumour-derived HSP gp96 peptide complex vaccine HSPPC-96 (vitespen) 39,40,406,407,408,409,410. Unfortunately, vitespen failed to show broad activity in randomized clinical trials despite encouraging results in selected patients (reviewed by Reitsma and Combest 411). For instance, a phase III trial of vitespen in patients with melanoma did not reveal any significant difference in overall survival between the HSP vaccine treatment and control groups 406. Similarly, a multicenter open-label randomized phase III trial did not identify any discrepancy in recurrence-free survival in patients with renal cell carcinoma who received vitespen compared to untreated patients 407. The failure of vitespen to improve survival might be related to immunoregulatory responses that may accompany or follow the triggering of tumour immunity by HSP antigen complexes 403. With respect to Grp94, lower concentrations of HSPPC-96 may induce immunity while higher concentrations suppress it 412. This explanation is supported by recent investigations using a Grp94-HPV vaccine demonstrating activation of CD8+ T cells by low-dose Grp94-HPV and induction of CD4+ CD25+ Foxp3 Treg cells by high-dose Grp94-HPV 413. Thus, successful vaccination with Grp94 might involve a balance between immune modulation and regulation by enhancing the immunotherapeutic approach 403. As already discussed by Calderwood and colleagues, the preparation of tumour vaccines regarding the stabilization of antigen binding may shift the response towards antigen-specificity immunity. The use of low-dose HSP.PCs may reduce the immunomodulatory effects of anti-tumour vaccines and favour anti-tumour immunity 403. Animal studies as well as clinical trials demonstrated the efficacy, safety and feasibility of HSP-based tumour vaccines. However, the phase III trials mentioned before indicated the limitations of HSP-based vaccines. On the one hand, immunogenicity was only observed at an early stage of the disease or with high-dose vaccination. On the other hand, clinical use of HSP-PCs is limited by the yield of tumour tissue because approximately half of the patients do not have a sufficient number of tumour cells for the vaccine preparation 406. Several attempts have been done in order to enhance immunogenicity of HSP.PCs including Grp94-pulsed DCs 414 as well as tumour-derived chaperone-rich cell lysates (CRCLs), alone 415 or in combination with GM-CSF 416,417. Improvements in immunogenicity of HSP vaccines might also be achieved by combining HSP-based tumour vaccines with ionizing radiation or focused ultrasound 418,419 or by increasing the inflammatory milieu within the tumour environment. It has been shown previously that up-regulation of IL-6 increases CTL uptake into tumours and induces conversion of Treg cells into pro-inflammatory Th17 cells 420,421,422. IL-6 is as key player in carcinogenesis as it is required for initiation of tumour-associated inflammation and angiogenesis 321,423. A number of reports suggest that HSPs might be able to directly interact with PAMPs and stimulate innate immunity. Grp94 was shown to boost the interaction of the TLR-2 ligand Pam3Cys or the TLR-4 ligand LPS with DCs, stimulate synthesis of IL-12 and IL-6 and activate co-stimulatory molecules 424. Furthermore, synthetic oligonucleotides such as CpG motifs that activate TLR-9 have been demonstrated to bind to Hsp90 and induce synthesis of IFN-α 425. However, binding of CpG to Hsp90 reduced synthesis of IL-6 and TNF-α, and failed to induce the DC maturation phenotype 425. Another approach to increasing the activity of HSP-based tumour vaccines might be to block the inhibitory effects of Treg cells on APCs. As demonstrated previously, Grp94-based vaccines are able to activate Treg responses accompanied by antigen cross-presentation and CTL activation 426,427. Moreover, Tregs have been reported to inhibit DC maturation at least partially via the co-inhibitory molecule Ctla-4 which blocks DC maturation 402. Proliferation and viability of tumour-invading CTLs can be suppressed by a broad panel of co-inhibitory molecules over-expressed on tumour cells. It is interesting to note that the tumour environment is able to switch the expression of the co-stimulatory molecule CD28 on CTLs towards the high-affinity co-inhibitors Ctla-4 or Pd-1 blocking T-cell receptor-mediated signalling 428,429,430. Monoclonal antibodies directed against Ctla-4 (ipilimumab, Yervoy, MDX-010, MDX-101) 429,431 and Pd-1 430 showed encouraging results in melanoma by activating tumour immunity 429,432,433. These data may open the way to a putative combinatorial administration together with HSP-based tumour vaccines. A more powerful HSP-based tumour vaccine has been generated from tumour/DC fusion cells which elicits increased immunogenicity in comparison to that generated from the tumour directly 434,435. Enhanced immunogenicity of the HSP-based tumour vaccine was associated with improved composition of the vaccine, including increased content of tumour antigens and their processed intermediates, and the detection of HSPs such as HSP90s and HSP110s 434. Thus, these findings might represent the basis for an alternative approach in the preparation of HSP-based tumour vaccines using DC/tumour fusion technology and gentle and rapid isolation of HSP peptide complexes. It is worth mentioning that this technique has the capacity to target individual tumour cell populations such as cancer stem cells (CSCs) 402. The cell surface glycoprotein CD44, a receptor for hyaluronic acid and other ligands, has been identified as a surface marker for CSCs in ovarian carcinoma 436. T cells induced by DC-CSC fusion vaccine were found to selectively kill ovarian CSCs and radiation-resistant cells enriched in CSCs 436.